He objected to the shenanigans and unlawful goings on and in the process got physically assaulted by the political big wig for daring to interfere in the alterations of the result. He was also slapped in quick succession by the political big wig. Azudialu’s aides quickly ran to his rescue and after much commotion and hindrance, were able to successfully get him to his car. In the commotion that ensued, thugs started shooting at Azudialu’s vehicle, destroying the tyres and some parts of the vehicle. 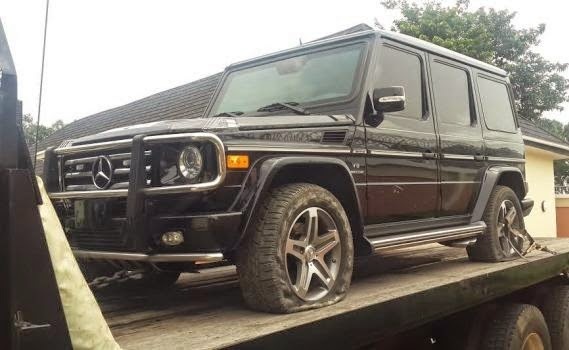 The vehicle was a bullet proof Mercedes Benz G-Wagon that saved the life of Azudialu and its other occupants as they tried to escape to safety. Some members of his entourage were not so lucky as they escaped with bullet wounds and are now receiving treatment in the hospital. Dr Ernest Azudialu has since then confirmed the incident and expressed shock at the attempt on his life. “I am still shaken by the brazenness of .....” ‎. 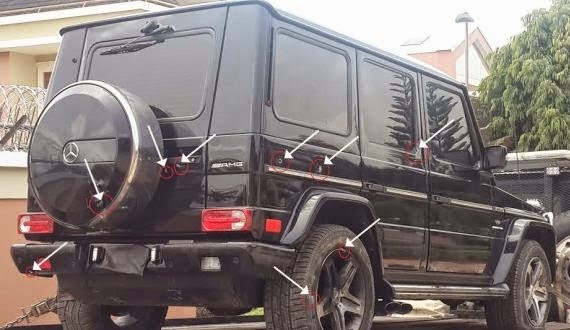 Azudialu’s bullet proof Mercedes Benz G Wagon was reportedly sprayed with bullets. 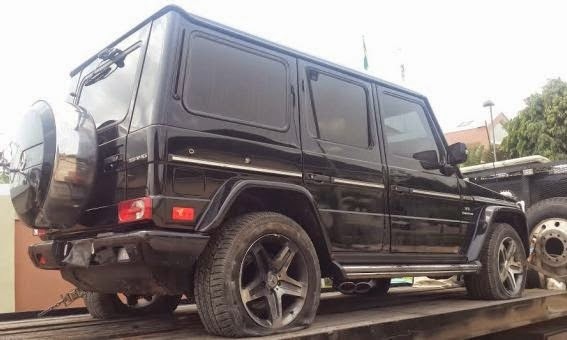 When the bullets failed to penetrate the armoured vehicle, the thugs sprayed the tyres with bullets. Responding to Azudialu’s allegation, Anohu said it was baseless and a pack of lies targeted at rubbishing a credible process. He denied that Azudialu was attacked as claimed‎. I know this is not the sort of leadership that we are trying to implement - where an invasion of someone else's community, attacking and murder attempts of fellow humans who stand up for justice and truth becomes a way of life.